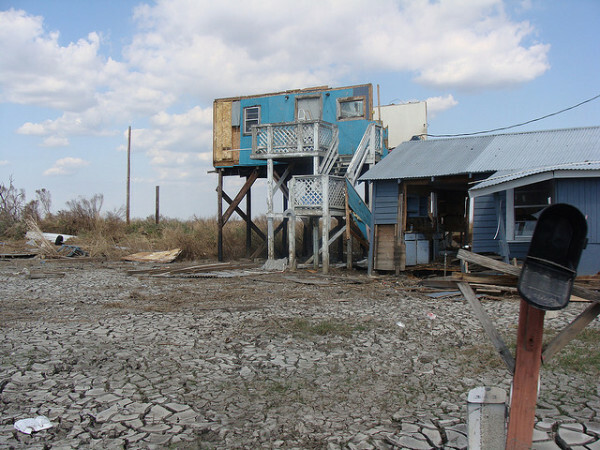 Isle de Jean Charles in Louisiana is experiencing coastal erosion on an enormous scale. Every year the surrounding area loses an amount of land equal to the size of Manhattan, a problem attributed to the combined effects of natural phenomena such as hurricanes and the heavy industries of gas and oil. In a short online documentary Vice News declared the island, which is home to around 100 people, the site of 'one of the largest man-made environmental and economic disasters in US history'. Watch the documentary by clicking the image below. Photograph by Karen Apricot under a Creative Commons license (CC BY-SA 2.0). N.B. In November 2014 we featured a short film by Emmanuel Vaughan-Lee which follows two residents of Isle de Jean Charles as they attempt to hold their lives together amid the changing landscape.